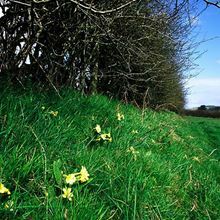 Mammals, insects and birds all love the shrubs in this hedge pack as it can provide food and shelter. A hedge can also create a natural screen to block unattractive views, create a shelter from the wind and can even help reduce noise levels. 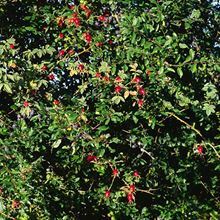 With 30 trees per pack, you will receive Hawthorn, Hazel, Crab apple, Dog rose and Dogwood which can produce between six and ten metres of easy to manage hedging. Estimate full grown height: Hawthorn: 15m, Hazel: +10m, Crab apple: 7-9m, Dog rose: 1.5m and Dogwood: 10m. Planting information: We would recommend that hedging plants be planted around 30cm apart if creating a single row hedge or for a thick hedge, plant staggered double rows around 50cm apart with 40cm between the lines. Please take into account the final size of the trees and be aware of buildings, services and other plants nearby to ensure that damage cannot occur from the roots and canopy as the trees grow. We would recommend that you also buy spirals and canes or tubes and stakes if there is any chance of animal damage (rabbits, deer etc.). You will find these within our accessories section. Oct - Feb - This is the best time of year for planting trees and your saplings are dormant, as long as they are kept free from frost and wind as well as being kept moist and in light conditions then they will last a few weeks before planting. 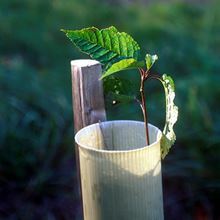 March - Sept - Your saplings are growing fast and will need planting as soon as possible. Planting immediately will ensure they do not dry out, lose nutrients etc. 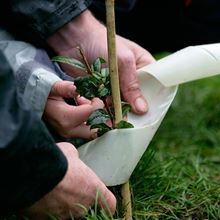 On-going care requirements: Once planted, your trees will need some care and attention for a few years; this will mainly be weeding around the base to reduce the competition for nutrients and ensuring your tree has enough water. For more information about caring for your trees, click here.